The appearance of hibiscus flowers varies among over 200 species, but the blossoms of the flower are similar. The shape of their stamens and pistils, or the male and female organs, is a common feature among all hibiscus. The hibiscus blossom contains typical blossom structures, but they have unique features as well, like their long staminal columns. Hibiscus have hundreds of stamens. At the bottom of every hibiscus bud is a green structure at the top of the stem. This is called the calyx. The bud grows from this structure. It is a tough part of the flower because it houses the young bud. The pointed ends of the calyx are called sepals. As the hibiscus begins to bloom, the petals begin to grow. Every flower has multiple petals, which differ in color depending on the species. The corolla is the colorful section that attracts animals and insects. The corolla has two different parts, the petals and the corolla lobes. This attraction helps ensure the pollination of the flower. The ovary and other female parts of the flower lie in the main structure, called the pistil. This is a long tubular organ. The stigma is where pollen is collected and it at the top of the pistil. In the middle is the style. This is the section that the pollen travels down to the ovary. The ovary lies at the bottom of the blossom. 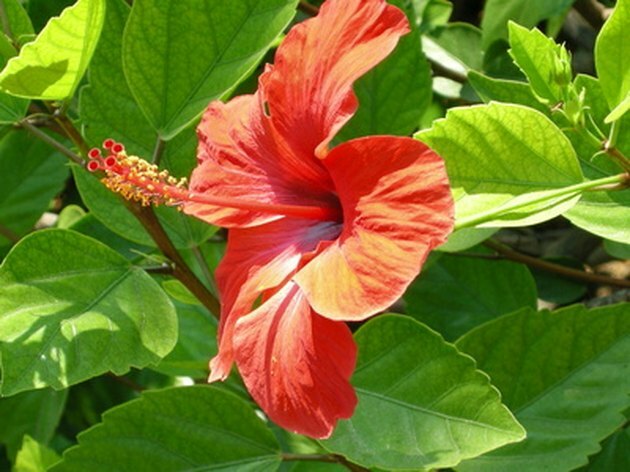 In some flowers there are several ovaries, but the hibiscus has just one. The ovary is a superior ovary. This means the petals are under the ovary instead of them all being encompasses by the stamen. The male parts of the flower are responsible for producing pollen. 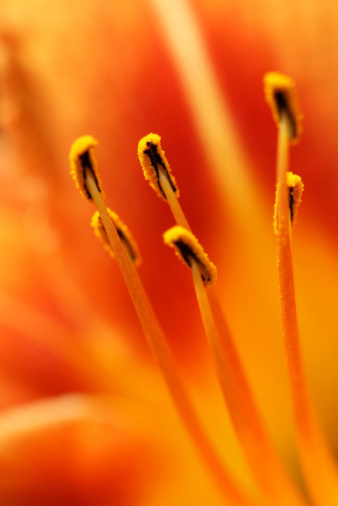 Anthers are two tube-shaped objects that release the pollen. Anthers sit on a long thin tube called a filament. Together, these organs make up the male part of the flower known as the stamen. Some flowers have a few stamens, but the hibiscus flowers have hundreds. 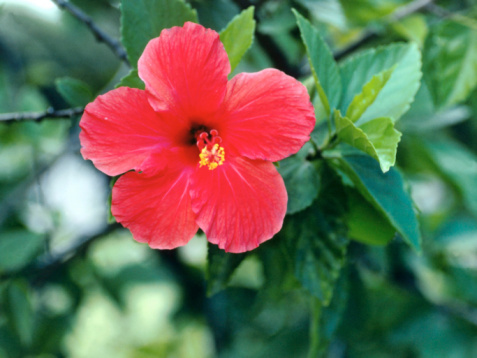 What Is the Structure of Hibiscus Flowers?